The olive has been an integral part of life in the eastern Mediterranean diet from the first stirrings of civilization. The pressing of olives to make olive oil dates back to about 3000 B.C. Historians generally believe that the olive tree originated in Ancient Greece and spread throughout the Mediterranean region as the Greeks and Phoenicians explored the territory. The health benefits of olive oil are widely recognized. 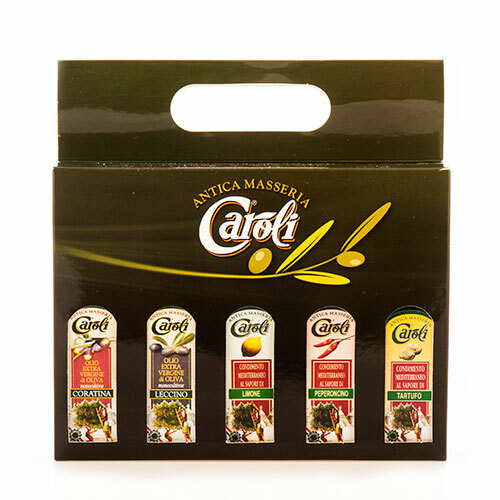 All of the olive oils we carry are hand-selected for their quality and taste. Looking for a recommendation or a product not listed? Give us a call or send us an email and one of our specialty food aficionados will be happy to assist you. Herbs and spices have consistently played an important role in the Italian cuisine. Peasants' immigration and experience over the centuries has created and handed down countless recipes which have included the use of spices. 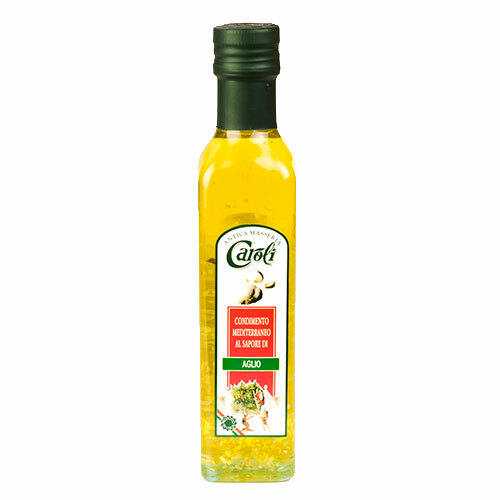 This flavored olive oil combines the quality of Caroli oil with a perfect blend of natural flavoring.